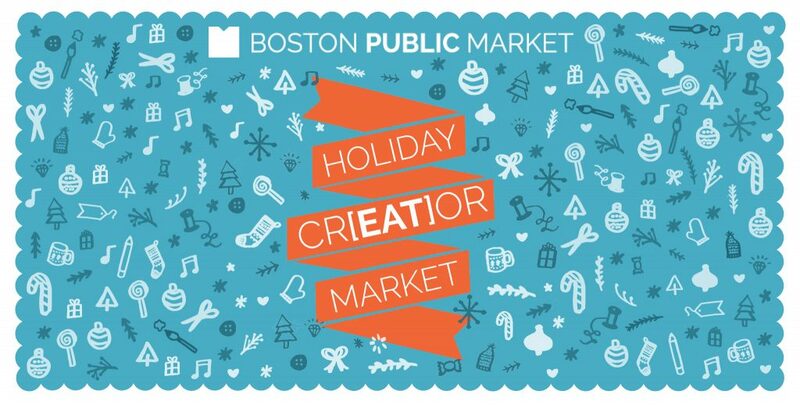 BOSTON — The Boston Public Market is hosting its first ever Holiday CR[EAT]OR Market, inviting local artisans to pop up and sell their wares alongside the Market’s 36 year-round farmers, fishers, and food entrepreneurs. The CR[EAT]OR Market will run for five consecutive weekends starting November 18, making it easy for customers to do their grocery and gift shopping all in one place this holiday season. 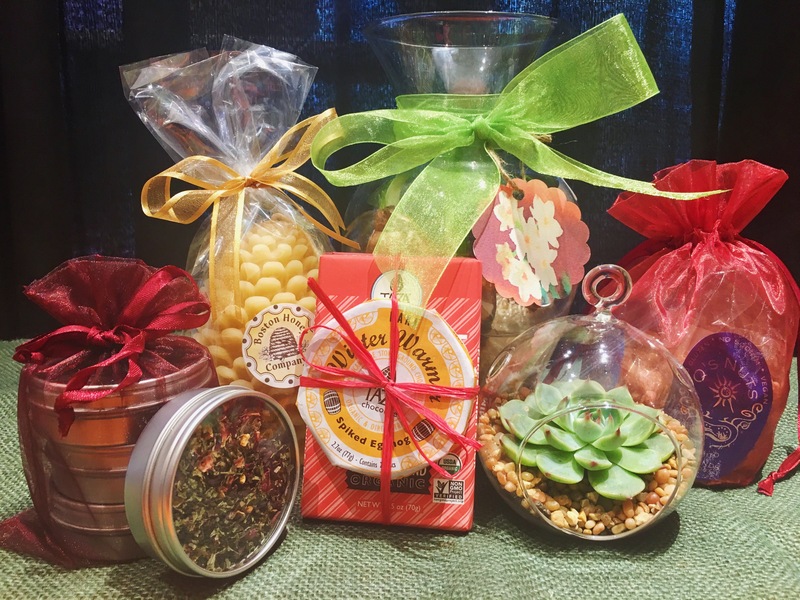 In addition to hundreds of unique offerings available all week long at the Boston Public Market, every Saturday and Sunday customers can find up to eight pop-up artisans selling specialty foods, jewelry, artwork, and home goods. Vendors such as Seedsheets, Alex’s Ugly Sauce, and Top Shelf Cookies are returning to the Boston Public Market after successful pop-up stints in the past, while entrepreneurs like Egg A Go Go, Smackadoodles, and Apple A Day will make their BPM debuts in the upcoming weeks. Keeping with the Boston Public Market’s steadfast commitment to local sourcing, all CR[EAT]OR Market products are either grown or produced in New England. Products range from locally grown Asian Pears and fresh Cape Cod cranberries to screen printed tea towels and all-natural booze infusers. The Holiday CR[EAT]OR Market will follow normal Boston Public Market weekend operating hours: Saturdays 8am-8pm, Sundays 10am-8pm. Pop-up artisans will be spread throughout the Boston Public Market floor. Apple A Day Studio | Farm-focused arts, crafts, and books. Bellicchi's Best Biscotti | Six flavors of biscotti and chocolate dipped biscotti made in Rhode Island. Camla Jewelry | Handcrafted jewelry made in Holliston, MA. Cape Cod Cranberry Growers Association | Fresh cranberries and cranberry products. Egg A Go Go | Original screenprints and screenprinted textiles made in Boston. Seedsheets | Roll-out gardens that include organic nonGMO seeds. Sky Meadow Orchards | Varieties of Asian Pears. Brookford Farm | Certified organic vegetables and other farm products. Hacienda Del Sol | Artisan preserves and pure fruit jams. Kiss Flower Farm | Jams, jellies, herbs, fruit butters, herbal sea salt, and granola made in Norwell, MA. Laszlo Farm | Farm-direct foods for healthy pets. Smackadoodles | Cinnamon rolls made in Dartmouth, MA. MADE IN MASS | Curated goods made locally in MA. No Joke Smoke BBQ | New England seasonal organic BBQ sauce. Pigeon Cove Ferments | Lacto fermented sauerkrauts using ingredients from North Shore farms. Urban Cupcake Co. | Specialty mini cupcakes made with all natural ingredients in Boston, MA. Folium Paper | Handmade paper flowers and vegetables. Alex's Ugly Sauce | Small-batch artisanal hot sauce made with locally grown peppers. Coldbrooke Pottery | Hand thrown pots for home and garden. Designs by Anke | Handmade sterling silver jewelry. Food Revolution | Gluten free and dairy free food startups. Lyndigo Spices | Chutneys, relishes, spice blends, spiced popcorn. Pocasset Naturals | All natural bath and body care products. Kitchen + Kraft | Rad things for mindful living. Vasiliki Baklava | Hand-rolled pistachio and walnut baklava made in Somerville, MA. Bootblack Brand | Cocktail and soda syrups made with fresh produce, herbs, and spices. Dove's and Figs | Jams, chutneys, fruit mustards, and fruit sauces. Dr. Bessette Naturals | Handmade artisanal soaps and skincare products using local produce and herbs. Just Add Cooking | Complete meal kit subscription that uses fresh ingredients locally sourced from New England. MYRTH Ceramics | Drinkware, serveware, planters, and vases made in Allston, MA. Rutabaga Bodega | Veggie celebrity tees, tanks, towels, postcards, and notecards. Top Shelf Cookies | Handcrafted artisan style cookies made in Dorchester, MA. Firelight Pottery | Clay jewelry, mugs, and home goods. You could not be signed up for the mailing list. Check your internet connection and try again later.